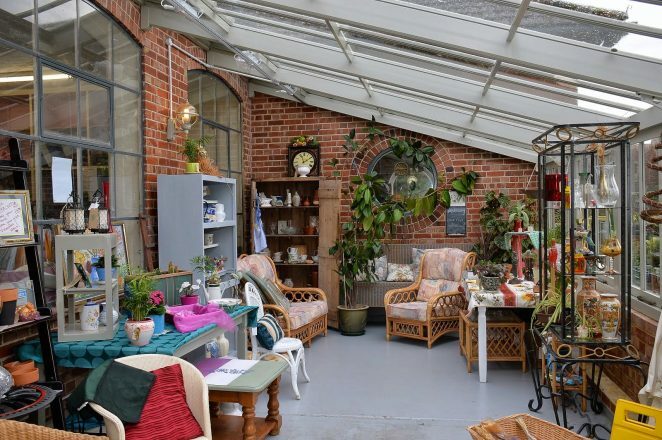 The Greenhouse is a relatively new addition to the array of things to see when you visit Emmaus. The first thing you need to forget is all those assumptions of what your average greenhouse contains – this is planting as you have never seen it before. 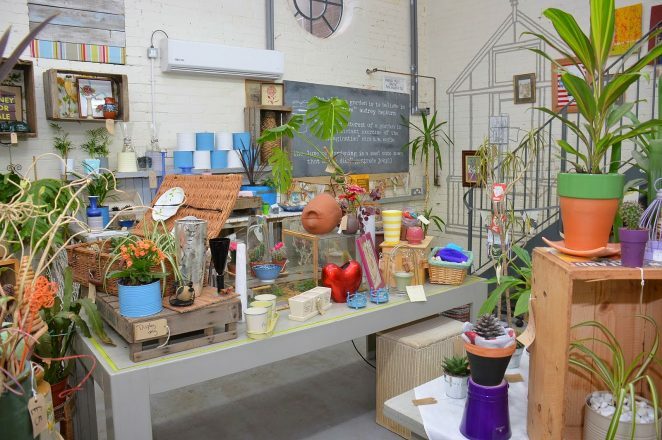 And whether you are looking to buy items from just a window box to a posh conservatory – you will find them here. This wonderful place is absolutely packed with great ideas for both indoor and outdoor gardening spaces. The fertile imagination of the members of the Emmaus community working in this part of the project is apparent when you see the stunning collection of hand-crafted planters on sale. They have all been made from people’s discarded or unwanted donated items made from things like a defunct tea-urn to recycled baked bean cans. Visitors to The Greenhouse will also find a large selection of bargain priced second-hand garden books, together with a fine array of garden tools. If it is garden or conservatory furniture you are interested in there is a good selection, all at extremely reasonable prices. Of course if it is plants you are looking for they are here in abundance. You will find seasonal plants, vegetable seedlings, and nursery shrubs.